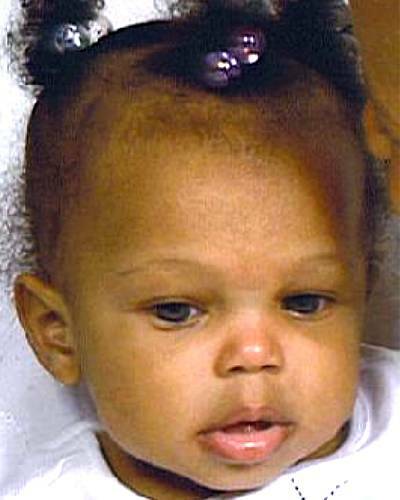 Circumstances: Lauryn was last seen September 7, 2010. She may be in the company of an adult female. Lauryn was last seen wearing a brown onesie with a pink flower and pink dots. She has a skin rash on both forearms and inner knees. I have a request for tarot on the little girl Lauren dickens missing since 7th September. Please note that tarot is never 100 per cent accurate and always read the Important Notice on the blogger concerning this. The first card I have for this child on first sight slow movement carrying the child away. It could suggest walking hiking cycling so it could be that the child was taken for a walk? Or was taken whilst out on a walk? The Corresponding Trump: August 12 to September 11 seems to be about right for dates and timing, but the Knight of Pentacles seems to be a sincere kind of card and offers protection. There is a mention of Virgo on here which could be the health element of the child and also the Hermit is attached to this card too so was the baby left somewhere for someone to wheel off with? . It seems to me that no harm was meant to this little baby. There is a very slow kind of action to this 'taking' of Lauryn and a bit of 'wild and fertile land' so it does seem to suggest that she was outside. It is possible that the hermit could represent a man and not a woman as a 'man' is depicted on this card and he tends to make a useful discovery so that may mean that the baby was seen and taken in that way. However, men are portrayed on certain cards but sometimes its because they have the characteristics of men rather then woman. Genderwise we have to bear in mind it could be either male or female. The Hermit often suggests apartments or somewhere up high, it could be the child was taken from somewhere like that or outside of somewhere like that. I can only give what the situation appears to be. The Knight is often thought of as an arrival and describes as a fair haired stranger...that colouring seems rather 'light' for a Pentacles person as I think of them as much darker skinned then that but all the same I think we can see a picture forming here. The person is described as a 'stranger'but someone early to mid 20's to mid to late 30's as this is also a money card it makes you wonder with the Page of Pentacles preceeding the Knight whether there was a 'money exchange' here ? or maybe someone was on their way to the Bank or past a School, though I see that Page of Pentacles as some kind of Message about Money really. The Queen does follow the Knight and thought of as a loving homely type of woman. Im not suggesting a man is in the picture and I have seen a 'stranger' element but wonder if this is an 'ex' or someone who might have not been around for a while - its such a slow kind of card that I just feel that everything was very relaxed for some reason. It feels as though there are things packed for the baby ready to go somewhere, extra things like booties or bottle or maybe the person that is with the baby had these things and was pretty organised in a way? This child definately being wheeled away on a little 'trip'. I seem to see this baby being walked away in a pram not in a car at the moment whilst looking at the card. Asking tarot where this child surprisingly I now have the King of Pentacles. Now that is interesting. The king of Pentacles as a person would be a dark man or could be a dark woman remembering the difficulty sometimes with Gender, it does depend. However, this is someone who identifies opportunities and takes advantage of them. Look at the pentacles on that card it is almost a business card, so is this a person who wants to do business with money over this child or perhaps they are a business person. Im assuming there has been no ransom asked for this child? I see this King of Pentacles as someone who is 'away from their children' or as a person who may be concerned about providing for themselves and their family. I think this is something to do with the mothers relationships ? because as I look at this card and all of them so far I have not yet seen anything negative as such, I see the child as protected and the person who took her as protective. So is this between two people somehow the Child the Mother or a woman and a male? And is it about finances? and health here? The king of pentacles can be a father or a husband - so Im wondering if really this is all a very personal matter that is coming to the surface here. Im also not sure if the Heirophant attached to the King of Pentacles is 'teaching someone a lesson' its possible but there seems to be a financial crisis that I can see and either the baby is a means of solving it or I may have this synopsis off mark. Taurus, Virgo, and Capricorn are linked to the King of Pentacles to me that is speech, health and work/business - was someone concerned about the babys health or their finances? There is a possible ' farmer' element to the King of Pentacles and I would suggest the baby is where there are lots of animals as that is what can be seen in this card. What may be the case is that someone with more money here can take care of this child or they are someone who sells children. I would rather think of the first option as the King of Pentacles also seems to suggest 'security'. I am wondering if someone was 'stuck in a rut' here and offered a better way out? Im not sure that it is a problem to find this baby but what I do see here is a bit of squabbling about her, it does look that way at first glance. Weeks are wands and this card is a 5 so I would have thought that within 5 weeks there could be something crop up further in this case of Lauryn. There just does seem to be disputes and complications attached though. The card before the five is a four which is often a home or grounds of a home/building. We have North and South on the five of wands, so could be disappeared in the South found in the North but with Mars attached to that shows some aggrivations as you can see on the five of wands. There is also a sport element on this card - that could be a place nearby or figurative in some way. I think and I hope that nothing terrible will happen here in fact it could all end ok but having said that there are power games being played here, the baby will be found but again there is a bit of an unstable situation going on and because of that its hard to predict what will happen eventually about the baby. I see this as two scenarios, either someone had an opportunity and took the child to sell, or it is someone connected but seperated who feels that they should have some opportunities with this child therefore might want to strike a deal. I really could be wrong but hopefully tarot has told us in its own way things that may be connected to Lauryn and her disappearance. I dont guarantee tarot as 100 per cent because its impossible to do that and one can also misinterpret events. Hopefully though Lauryn will definately be found. I have tried to see by meditation what Shakara has done with Baby Lauryn. Sometimes tarot gives me its own answers and does,nt always concentrate on the exact question but I will give you what I have. This card is deception and trickery. It has two angles to it, one that the baby could have taken a journey but it could also suggest that there was a return within 7 days. Now that is only POSSIBLE because the card is upright and not reversed. When its reversed it tells us the baby comes back but meanwhile only the suggestion is there as an alternative. When the baby was taken, it is very clear to me that she DID get taken out of this apartment and went somewhere else - two other people KNOW this happened because as you can see they are in the picture watching as this child is taken away and they did not raise the alarm. Becuase they did not raise the alarm it means that they are aware the baby went somewhere and said nothing about it. Or, it could mean that parts of Shakaras story about the baby are not true. Remember this card is pure deception and trickery and you cant always believe what is presented. If it is a lie about giving the baby away this would be because Shakara wanted to turn this situation into her favour and hide the truth. Unfortunately this card does show that 'someone is trying to get away with something' - so Im not sure that this is looking good. But....with all tarot it has to be 'mined' and this card tells us about a THIEF and the thief takes the baby away - it is very possible because of the reverse nature of this card that an apology is forthcoming in other words, somebody is going to say something about this child and where it went. I can see in this card that Shakara was moving from one place to another but I asked what she did with the baby and that baby seems to have gone somewhere else. But because that card is upright Im toying with the idea that the baby was brought back again in a week because that is still connected to this card. I cant see that Shakara 'thieved' her own baby unless she was involved in a sneaky dealing with Lauryn which she is going to keep to herself and just hold together her own personal truth about it all. Swords are also communication so this could be all about WHAT SHE SAID rather than what she did, as what she DID might be the reverse of this card. So it is not an easy situation here. The other way of looking at this situation is that someone has stolen back this baby as they felt it rightfully belonged to them or would be better off with them. I can see that Shakara is up to her neck in a situation here and basically whatever she does say is going against her and as the next card is the eight of swords it looks like she could tell more things but if she does it opens up more cans of worms. I know that Shakara is actually trying to tell the truth but there is something that is blocking her here and I dont know if its because of the 'two people' I see in the card here. Perhaps what they know might actually get her in more trouble so its a horrible position to be in. Meanwhile, I am trying to give a good perspective of the seven of swords and any of these situations could apply in the case of Lauryn. We do have to bear that in mind. Perhaps it would be best to check both addresses that are connected to Shakara, the one she lived in and the one she was going to. If there is another little child in the picture, have the authorities checked whether the child is with that one? What it seems to me is that whatever Shakaras plans were its possible that somehow someone did interfere with those but as Shakara could not cope with baby Lauryn its a case of alls well that ends well so with the baby 'gone' does it really matter when the problem dissolved itself? To me it seems that Shakara did not trust an ex partner at all. Maybe someone she knows took the baby then told her afterwards but she cannot give away who those people are. I have seen two people. I have to say that I might be completely wrong about all of this and I did see this baby protected at an earlier stage of tarot. It does not look to me on the seven of swords that she personally did anything horrible to the child but swords can be violent cards and theres no getting away from that. The seven leads us to the CHARIOT and I see that as a vehicle of some description which intially with the King of Pentacles I felt was a pram and walking away from the apartment. So I do have to stick to my guns there and say that the baby went out of the apartment likely in a pram and though its possible that the baby was returned to the apartment I dont have a definate on that at all right now regardless of any 'rumours' of cadaver odors. According to tarot it tells me that it is speculation that the child is dead, so at the moment in tarot I would say that is all it is right now. Asking when Lauryn will be found we receive the Tower which is card number 16 - Im not sure how that number will figure but what it does suggest is that there is a building here and that it is a bolt from the blue so she will be found 'by accident' . That two people know where she is or are involved in some way - and that she will definately be found. The timing of the Tower card is 2 years so either by the time this baby is two or within 2 years ( well thats a lot of scope !!!) Perhaps there are two people in an apartment who know more or who are the ones to find her. I do have the month of December but I dont quite know how it applies except that the Star Card follows the Tower card and thats a christmas card in most formats - though it indicates around January I suppose thats not far after December in terms of time. I cannot guarantee anything that I write from the tarot I can only give the impressions that I have and maybe they might help or maybe not, only time can ever tell what will happen. I really want to see this baby found in good health. There are some disappointments here but I did see the baby protected so I would be very upset that the worst happened to this child if thats what we learn. Its up to the fates now. Im really not sure what else to give about Lauryn dickens. There has already been an update here and I have been asked again for further information. The King of Pentacles can give us roof tops but it is also a business card which can refer to 'business' transactions and can also imply some kind of 'orphan' status for this child. I really think the best thing to do here is to wait. Two people know where this child is. The letter K comes up here but so does the words Quay or Key. However asking once more where this child is Tarot is giving to me the Seven of Swords. As you can see Tarot is really just saying 'the same thing'. We have an East Direction here but Im sensing a feeling of futility in this and deception, a journey by land appears to be here and as you can see two people know full well where she is. This card can give 'designs' of kidnapping but when you get the deceptive element here one has to decide whether this is a kidnap or that the situation is given that it should look like that. Well when a child is missing abduction is most certainly what comes to mind. This is a card of pure trickery. Theres a lot of 'annoyance' here and perhaps even quarrelling because 'a plan failed'. Number 7 comes up here also a dark haired woman. North West is the direction I am given. Which is the starting point or ending point I cannot be sure but a quarrel does seem to come up here because there was a plan of sorts and a quarrel between two people. The child is somehow linked to a 'church' or church name. Tarot cannot give us 'place' names we only have descriptions that we can follow. It seems to me that water aspects come in whether name or actual because water rocks and stone are part of this card but also comes links to deep wells, quarries, mines land that has recently been dug. Hills, uneven land, airports, railways can all come up. The roof or attic rooms, eaves or upper parts of a house or room can show here. So can fountains/springs and vineyards or places that have a water supply whether outside or inside. This can include water tanks, baths, showers etc but again might be naming a place in its own way. There were indications that the child being deceased was possibly speculation but the truth is that Tarot does not like to dwell on life or death matters. I certainly will not be asking that question at the current time. Overall, this is what I seem to have for Lauryn but whether or not it is correct one cannot know. Clearly quite a lot has occurred but one has to read everything together and hope that something is useful here. thank you soooo much empathy! hi empathy, i read on the news that cadaver dogs picked up a deceased smell from the apartment. can you, if you have a moment, shed some light on that finding? I Ching gives me the idea that things are on a need to know basis. I am not sure whether they are saying this to provoke a statement from the mother or not. I seem to have got the outside for this baby. Cadaver smells can be on people and clothing and do not necessarily mean there is a body in the apartment. 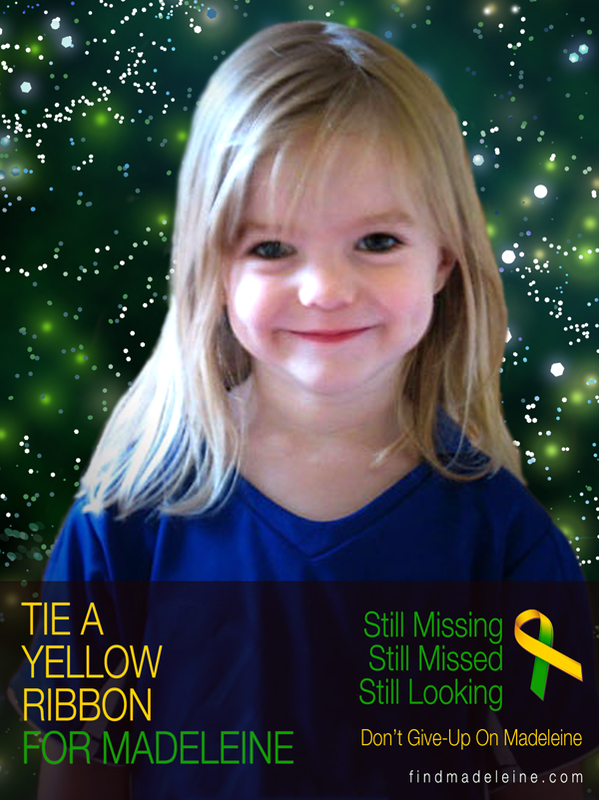 I have definately seen this child outside unless something happened to her and she was returned. I did say we would hear something within 5 weeks so this must be thought of I suppose as the first alarm. I expect they will check the roof of the building. Hi Empathy, would there be a possibility for a fresh up to date reading on Lauryn. There has been no news on her. Hi Empathy did you do another reading on Baby Lauryn?? No I have been so busy I have not been able to update on all the cases as new ones are pouring in all the time. I am so sorry I will try to go over this case as soon as I can. I have updated today for Lauryn but we are getting much of the same thing. Im so sorry I have not managed to get back to Lauryn. I have put a note on my 'to do list' and I will try to get this done soon I promise.